The lone Highlander, MacCleod, has a new partner in immortal crime but does the franchise work as well with two leads? 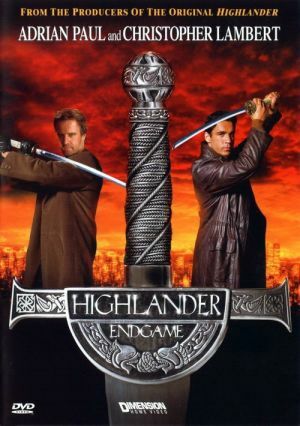 When Duncan MacLeod is confronted by a powerful immortal that wants to destroy all others, he attempts to track down his relation, Connor MacLeod who vanished years earlier. Together they have a better chance of destroying an evil that gets more dangerous after every killing. 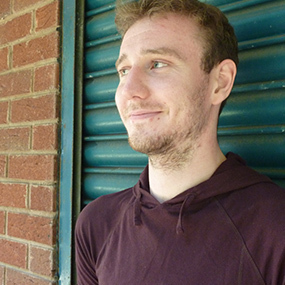 Endgame’s boldest move is putting the franchises lead character, Connor, in the back seat and allowing his relation, Duncan to boast the most screen time. Connor is still treated like the dominate, and more legendary character we’re used to but his storyline is minimal with him hiding away and lacking any real character progression or interaction apart from with Duncan and one scene with the villain. Instead, the franchises usual flashback sequences focus on pushing Duncan as a centuries old best pal of Connor, and more so, of Duncan’s deep rooted love for another immortal, Faith. These scenes provide a decent amount of character depth to a late-to-the-franchise lead, with the scenes of him and Connor swashbuckling and being specifically fun to watch. During the flashbacks his romance with Faith starts off as a similar affair to most Highlander romance: fast paced with no real conviction but due to her immortality this does become more complex and adds a new angle to the franchise. However, a few new inclusions are added in regard to immortal power with the worst offender easily being the ability to scare some humans into becoming immortal. This is as ridiculous as it sounds, and for such a major part of the myth, Endgame gives the impression it’s clutching at straws to revitalise the franchise. What’s more, a rule that immortals can only fight alone seems to majorly contradict in several fights in the previous films and oddly even this one. Perhaps screenwriters were confused but with no additional entertainment value offered by this (arguably there is less) the franchise misses out on a trick. The franchise’s main crux, action, also fails to deliver with unimaginative henchman having an assortment of weapons including knuckledusters, a spiked club, guns, and chains; all of this lacks any excitement or individuality and the only plus point is the villain himself who gets much more screen time than any Highlander villain before him. His leading a group of immortals hasn’t been explored before and his interaction with these ego-driven, but scared, warriors is an interesting slant on the franchise’s loner origins. This does underline however how dull the main current day hero storyline is though, as Duncan literally does some investigating and thinks about the love of his life. Snore. With odd new immortal rules and unimaginative action sequences no wonder Highlander became a straight to video franchise directly after this. The title, Endgame, is entirely appropriate.